Some participants in the new Continental Army developed their marginal military skills in the crucible of the French and Indian Wars (1754-1763). In a prologue to that conflict, Pennsylvanian and Virginian colonists were looking westward to extend the frontier. 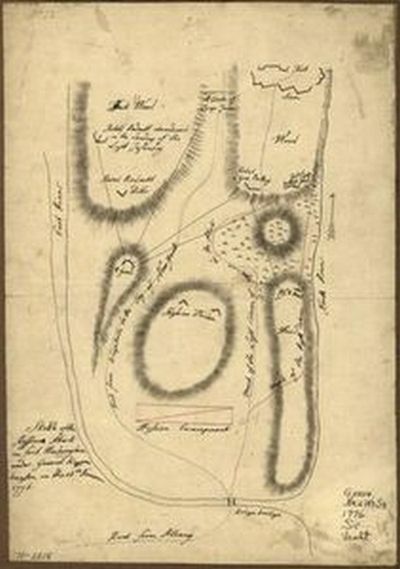 A young major in the Virginia militia was ordered by the royal provisional Governor Dinwiddie to deliver a demand to a French force to discontinue building a series of forts along the Alleghany River (1753). The French policy was designed to prevent British colonial expansion. This followed a series of murders of English speaking traders committed by Indians and provoked by their French ally. 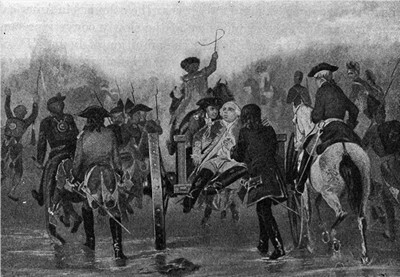 The Governor, acting under a special grant from the Crown, dispatched the militia to end French actions. In 1754, the provincial force was led by the young major. The major, recently promoted, Col. George Washington led the new force and engaged the French killing an officer and nine soldiers.He would later serve on the staff of General Edward Braddock and gain wartime experience. This early 1754 skirmish did not start a war, but it was a beginning, with bloodshed soon thereafter, and emblematic of the centuries old relationship between these feuding European powers. War between France and Britain was inevitable. The difference was that the battleground was the New World and their colonial surrogates were deeply immersed. The French General, Montcalm, experienced victory at Fort Carillon (Ticonderoga) and an ultimate defeat with his death at Quebec. His history mirrored the fortunes of the French presence in the New World. In 1775, the memory of French enmity had receded in the colonial mind. Their Indian allies were a much reduced problem except for the hardy pioneers pushing west into traditional Indian territories.The British security blanket was past tense, but their parliamentary presence was invasive. With the old security issues resolved, the Colonial- American mind-set now turned to social and political grievances. Unresolved by peaceful redress, patriots sought resolution through the battles of the Revolutionary War. Note to the reader: Some battles described have significant sequels. We have taken the liberty to include later chronologies under the earlier date to present a coherent historical journal for those events. A famed newsman’s tag line intoned: “There’s more to the story”. The war may be compared to a fifteen round prize fight in which the over classed opponent scored an unexpected victory in the last round. As a result, historical hindsight is focused on the patriots who were victorious in their battle for liberty. Overlooked are the hardships and crushing defeats that time has diminished. Loss and victory in minor skirmishes and raids had a cumulative effect on future strategies and moral. There were bleak moments after defeats that weighed heavily on American leaders. Their ability to focus on the ultimate goal of self government attests to their long view of history. April in Boston, and Major General Thomas Gage, the “Martial Law Royal Governor” , reacted to seditious talk making its rounds in the city streets. This was almost two years after the” sons of liberty”, poorly disguised as Mohawk Indians, dumped a cargo of tea in Boston Harbor (Dec 1773) in reaction to a tax imposed by the English Parliament. . The British general directed that Lt. 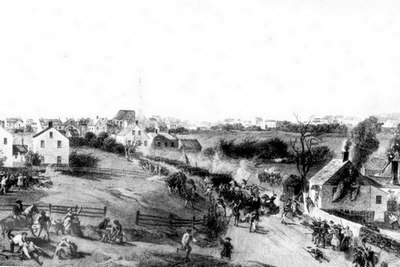 Colonel Francis Smith (10th Regiment of Foot) and his 700 men seize suspected military stores at the nearby village of Concord. He also ordered the arrest of Samuel Adams and John Hancock, delegates to the extra-legal Second Continental Congress. Secrets, even military ones, were immediately circulated into the public domain before the ink dried. The villagers, having been forewarned, had moved almost all military stores to safer, secured locations. [A]t 5 o’clock we arrived [in Lexington], and saw a number of people, I believe between 200 and 300, formed in a common in the middle of town; we still continued advancing, keeping prepared against an attack through without intending to attack them; but on our coming near them they fired on us two shots, upon which our men without any orders, rushed upon them, fired and put them to flight; several of them were killed, we could not tell how many, because they were behind walls and into the woods. We had a man of the 10th light Infantry wounded, nobody else was hurt. We then formed on the Common, but with some difficulty, the men were so wild they could hear no orders; we waited a considerable time there, and at length proceeded our way to Concord. The days toll: 49 American dead; 73 British dead. April 23: The Massachusetts extra-legal Provincial Congress formed the “Army of Observation”. The men, mainly from the home province, and lesser numbers from surrounding New Hampshire, Connecticut and Rhode Island comprised 24 regiments. There was a recognition of a mutual purpose between the emerging states, but the variety of "uniforms" emphasized a lack of unanimity in battle dress. Ostensibly these soldiers were “watchers”, but the unstated purpose was defense---although no formal break with the King was overtly entertained. A star shaped fort, typical of French fortifications, was located on the southern shores of Lake Champlain in northern New York. The lake was a 125 mile gateway between British Canada and the American colonies to the south. This placid scene had erupted into fierce war between the British and French in the Indian wars (1754-1763) when Ticonderoga was known as Fort Carillon. The British commander, at that time, George Howe, had met his untimely death assailing the walls of the fort originally built by French settlers in1755. His family name would survive in America when his brothers, one a general, William, and the other an admiral, Richard, would play a part in the British defense of its colonial empire. This family reportedly was not unsympathetic with some of the demands of the Americans, but tradition and loyalty to the Crown over shadowed personal beliefs. May 3: The Massachusetts Committee of Safety raised a small force under the command of the newly promoted Colonel Benedict Arnold. He was ordered to capture Fort Ticonderoga that lies about 100 miles west of the Massachusetts border. Concurrently, Ethan Allen and his Green Mountain Boys were ordered by Connecticut Committee of Correspondence to lay siege to and capture Fort Ticonderoga. The two Patriot forces met, merged and embarked vessels to float down Lake Champlain to the fort lying at the foot of the lake. Arnold was devoted to the patriot's cause. The Green Mountain boys appear to have another agenda which included the fort's whiskey. When that was consumed they were ready to move on. The friction between Allen and Arnold, particularly about the credit for the capture, remained through-out their joint occupation. May 10: Allen, immediately upon landing, attacked the fort with a small force. There was no resistance from the garrison. Owing to the British garrison’s isolation, they were unaware of rebellion in the populated provinces. Whether myth or fact, Allen awakened the sleeping commander, and declared, “Surrender in the name of the great Jehovah and the Continental Congress”. The fort’s military materiel passed to the patriots and destined for fortuitous use in their forthcoming siege of Boston. 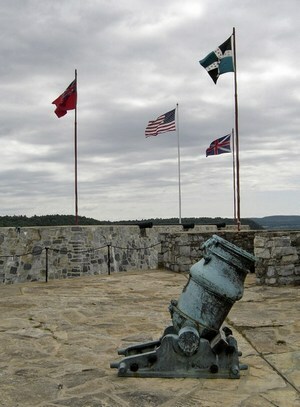 Some of the big guns remained to defend the fort as they did under the flags of French. British and American defenders. 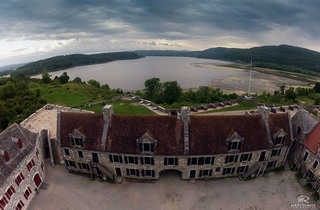 British General Guy Carleton, after dislodging American forces assaulting Québec on December 31, 1775, embarked his mixed forces of regular army and Canadian Loyalists and sailed south on Lake Champlain, His destination was Fort Ticonderoga. He was met on the lake by forces of Benedict Arnold and repulsed in the battle of Valcour Island (October 1776). Arnold was bloodied and beaten but had enough left in the tank to delay Carleton. This tactic was rewarded by an early snow storm that forced Carlton to retire to winter quarters. The encounter deserves mention as the first naval battle of the Revolutionary War. 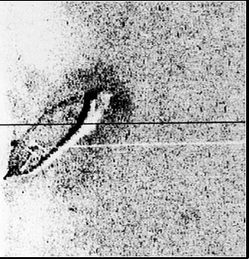 A recent under water study of Lake Champlain revealed the purported remains of Arnold's command vessel,Spitfire, sunk in battle. The Americans had constructed a companion fort on the opposite shore of the lake. Together, the forts were to serve as a blocking strategy to blunt any Canadian drive southward into the heart of the New England and New York. They expended energy and resources to fortify adjacent hills. One was renamed Mount Independence. They were aided by a Polish engineer, Thaddeus Kosciusko, who was recruited to the patriot cause in Paris by Benjamin Franklin. He remained a dedicated warrior as Chief Engineer of the Continental Army. The defensive strategy was doomed when they failed to heed the advise of Kosciszko who had recommended placing guns on the nearby Sugar Loaf Hill. In the summer that followed, General John Burgoyne, reinforced and strengthened in Canada, commanded a flotilla sailing south on Lake Champlain. It was evident to the Americans that the fleet was headed for Fort Ticonderoga. He immediately co-opted the defenseless Sugar Loaf Hill and his guns now overlooked the fort. The march of his forces was a micro view of the military action dominating the early years of the Revolutionary War---many early victories for the British General that proved to be Pyrrhic. He was ultimately defeated at Saratoga. 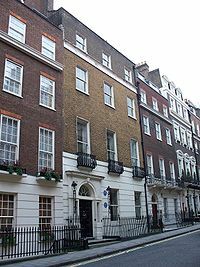 and his southward march ended in forced retirement in his London home. The size of the Burgoyne forces moving on Ticonderoga convinced American Major General Arthur St. Clair that defense would be futile. He planned to abandon the fort under cover of darkness on July 6, 1777. The American troops escaped but not unscathed. His plan for a secret retreat was disclosed by a spy that enabled Burgoyne to pursue the fleeing St. Clair. The patriots were hit by Hessian cannon and assailed by German bayonet charges. American casualties included 320 captured, but the bulk of his troops would reform for the Saratoga campaign on the near horizon and meet Burgoyne under different circumstances, and where he met his "Waterloo". Significantly, Burgoyne left 1,000 men to garrison Ticonderoga a compelling decision that depleted his fast moving forces. For the Americans, it was a poor way to celebrate a one year anniversary of American independence. There was a sequel which was not surprising for Ticonderoga history. Many in the fort claimed that the fort was well prepared to defend itself and chastised St. Clair for abandoning it. The implication was an accusation that the hasty withdrawal was an act of cowardice. The general insisted on a court martial to defend his honor. 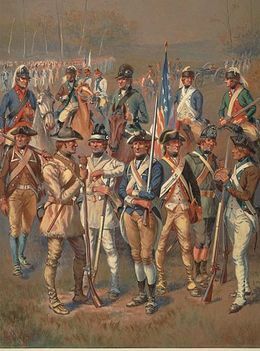 He presented as his defense his intent to preserve his force in tact, and thus capable of later joining the larger American forces against Burgoyne. A " live to fight another day" defense. Verdict: Acquitted. St. Clair remained a trusted member of Washington's staff. The court martial system was mandated by the Continental Congress on June 28, 1775. The war had just begun and the Congress had appointed a committee that included George Washington to make recommendations. The result was the promulgation of Articles of War covering the conduct of the American Military of all ranks. It was said that Washington was adamant about profanity. Penalties for cursing was two-thirds of a dollar and up to 100 lashes at the discretion of the court. More significantly, the rules of the military court were created by the legislature and not the military. One of the first instances in the structure of the new government was the establishment of civilian control over the military. Ticonderoga had flashed through two years of war with hardly a shot fired at its walls. Speculation suggests that had St. Clair stood against Burgoyne the latter’s ill fated surrender at the Battle of Saratoga on October 20, 1777 might have been avoided. The speed expended in chasing St. Clair brought him to Saratoga with a reduced fighting force, and at a pace that outstripped his over extended supply lines. It also voided pending reinforcements purportedly streaming north with a General Henry Clinton force. Fort Ticonderoga suffered another bloodless reversal of fortune when it was again surrendered to the Americans as a result of Burgoyne's defeat at Saratoga. Despite the lack of battle scars, Fort Ticonderoga was the focus of intense strategizing by both sides. It meant devoting resources to hold it against the enemy or as a jumping off place for future actions. 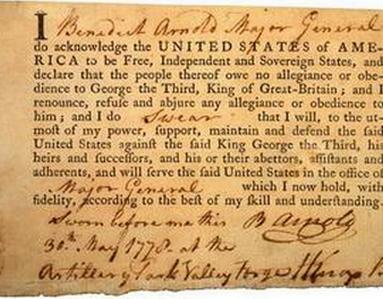 June 17: Five days earlier, General Gage offered the patriots a pardon with the proviso that Adams and Hancock would not be spared. 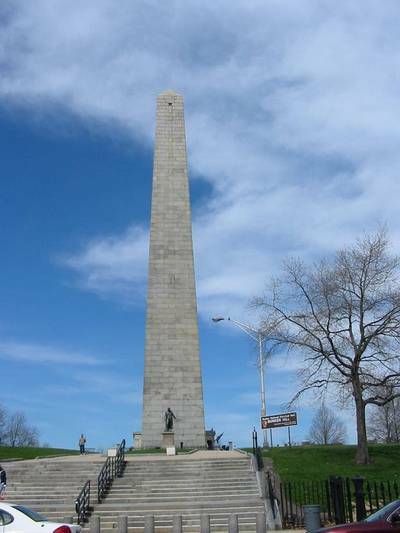 On the preceding day, Colonel Prescott of the New England militia seized and fortified both Bunker Hill and Breed Hill on the Charleston Heights overlooking both Boston Harbor and Gage’s troops. It was an open secret that Gage coveted this high ground on the Charleston peninsula. He intended to occupy these heights and then devote his army to destroying the militia formed by the Army of Observation resolution. He knew that big guns could pour grape shot and cannon balls onto the exposed positions of the British. As it turned out, the thought was father to the deed--although it was the colonists that performed the deed. Strategically, that mistake was compounded by British failure to occupy the neck of the peninsular that would cut off a patriot retreat. On the next fateful day, newly arrived Major General William Howe, led 1500 men across Boston Harbor and twice attacked the patriots on Breed Hill. Each British soldier climbing the hill was encumbered with an 80 pound pack on a 90 degree day. They were repulsed with well disciplined fire, but patriot ammunition was low. Howe was frustrated and ordered a bayonet charge which dislodged the Americans who fell back to Bunker Hill. That was followed by a full retreat to the mainland. The patriots had fielded over 2500 militia men and suffered 140 killed, 227 wounded. The British victors sustained 226 dead and 826 wounded. The immediate result of the “victory” was that Gage was recalled by London in October, and Howe assumed overall command of Boston. The Americans siege of Boston continued, and two weeks after Bunker Hill the new Commander in Chief arrived. George Washington was prepared for a long siege and his troops prepared defensive works. A young officer, a Boston book seller by trade, Henry Knox, presented a plan to the newly arrived Commander in Chief. It was ambitious and almost impossible to accomplish. Knox told the general he could recover the cannon from Fort Ticonderoga, under American command, and transport it to the heights overlooking Boston Harbor. The 300 mile journey over mountains and through forests on sleds began at the fort in early December 1775. The fortuitous arrival of cannon removed from Fort Ticonderoga in March 1776 under the capable guidance of Henry Knox, soon to be elevated to general, sealed the fate of the British occupation of Boston (April 19, 1775 - March 17, 1776). General Howe experienced the Gage Bunker Hill nightmare: American cannon staring down on his troops from the Dorchester Heights in Cambridge. His only option was to abandon Boston. Fortunately a British fleet was anchored off shore, and a haven for his retreating forces. Howe left behind a parting gift for the patriots: 69 big guns. 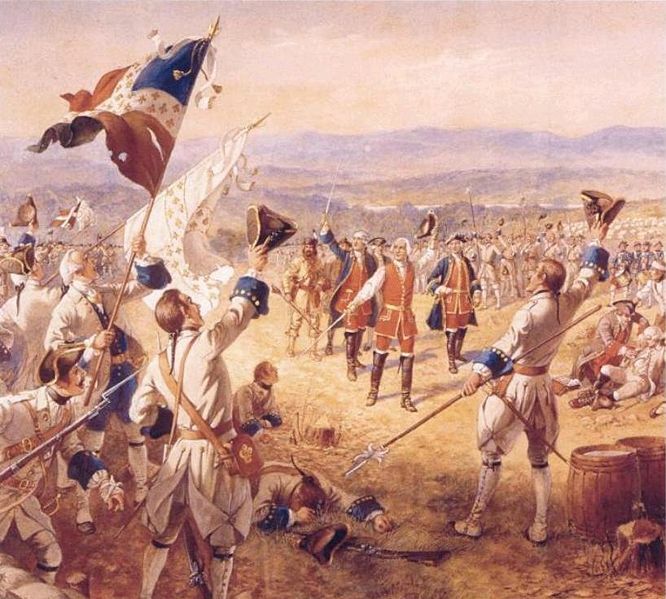 The French province of Québec fell to British forces in 1759; France ceded all of its rights in Canada. Canada was a two language country. French and English languages divided the population. However, after the passage of almost twenty years they were largely united in their rejection of a potential American sovereignty. Although there were some French and English speakers that furnished aid to the Americans, after the departure of the invading Americans (1775) they were severely punished. Some joined forces with the Continental Army. 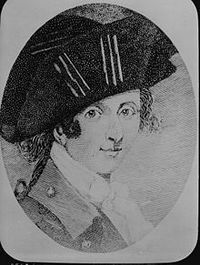 Moses Hazen, a patriot sympathizer, formed the 2nd Canadian Regiment that fought in numerous battles including Yorktown. However, their red uniforms were a sharp contrast with their compatriots' Continental Blue. August: Brigadier General Richard Montgomery departed Ticonderoga with his American force intent on the invasion of Canada. This was a 200 mile march through the rocky terrain of Maine. Although the focus of his 1,400 man force was Montreal and Québec City, it was necessary to eliminate the danger posed by Fort St. John. The fort lay due south of Montreal, and if bypassed would leave the enemy to harass his rear and cut his supply lines. The fort was besieged by Montgomery and it would take three months before the fort fell to the Americans. Colonel Benedict Arnold, after his “success” at Fort Ticonderoga, began a campaign for appointment to head the Continental forces in the Hudson Valley, part of the army’s Northern Department. The reason is not apparent for the source of rejection to higher rank. Although we know that Arnold had a good relationship with the overall commander of the Department, General Philip Schuyler, Arnold appeared to have believed that his value was consistently undervalued. Arnold was anxious to prove his merit as a commander and presented a plan to George Washington to open a second expedition to Canada. The plan was approved although it appears that Washington did not give a high priority to the Canadian offensive initiatives. Ethan Allen, ever the impetuous soldier, detached himself from Schuyler’s Northern Command and crossed the St. Lawrence River into Québec province. Allen intended to capture Montreal and anticipated reinforcements to augment his small force. The back up never arrived in a timely manner and Allen was captured on September 25. He remained in custody for 2 ½ years--- the conclusion to an ill conceived plan. November 3: Montgomery's initial Canadian victory was the capture of Fort St. John. He then moved his forces north toward Montreal. The help that Ethan Allen had anticipated was more than one month late. As Montgomery marched north to Montreal, General Guy Carleton barely escaped from that lightly defended city and reached Québec City to prepare for a further American attack. Arnold had to traverse the snow laden forests of Maine, and marched a starving complement over 300 miles. He arrived in Canada with 600 men headed for a meeting with General Montgomery’s troops at Quebec Their joint forces approached from the south and first viewed Quebec from the water's edge---a formidable sight. Montgomery was his immediate savior supplying Arnold's men with food and clothing. By early December, the American's siege guns were pointed at the city, and they sent a message demanding its surrender. Their demand was spurned. Dec 31: . Carleton had escaped from Montreal and now defended a much stronger fortification at Québec. Montgomery commenced a frontal attack and was mortally wounded. Arnold assailed the north wall and the attack failed. Arnold sustained a leg wound. The Americans were forced to withdraw from the siege, but Arnold fought a rear guard action through the spring of 1776 that severely impeded the British progress on their planned drive to the south. American ambitions to annex Canada would never be fulfilled. October : The British sought to extend the resources of the loyal Tories in the south. The Loyalists in Virginia showed signs of increased activities. They were joined by a British warship that shelled Hampton. 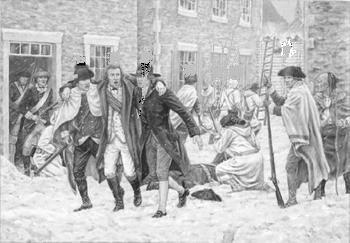 December 9: In Great Bridge, Virginia, a British infantry regiment at the instigation of the Tory Governor, Lord Dunmore, attacked a company of patriot leaders. Forces massed on each side of the town bridge. The Americans appeared to disperse and the ruse worked. The British rushed across the narrow bridge to be met by a strong volley of musket fire. One American was wounded, but the British suffered 62 casualties in the 25 minute engagement. As a consequence, the Americans had an open road to Norfolk which the British abandoned. On New Year’s Day, the British shelled Norfolk and destroyed the town. The prior year was replete with momentous events, some of which were self imposed, and others that were thrust upon the Americans by the mother country. Their ability to control these events were hampered by weak central control, military inexperience and lack of resources. The Continental Congress and the military Commander in Chief, George Washington, would then spend the New Year identifying structural faults and attempting remedies. The Congress, itself, lacked unity. The composition of northerners and southerners amplified their social and economic differences. One such problem dealt with short term enlistments that affected the outcome of battles, acquisition of military skills and required discipline. The Congress passed a resolution that enlistment terms were extended to three years from one year. Patriotic fervor for service was waning. Enlistment bonuses became routine. Under these new rules, Washington was given command of 88 regiments. The new army was still top heavy with New Englanders and Pennsylvanians. It is estimated that army strength, at any one time, never exceeded 32,000 men under arms. 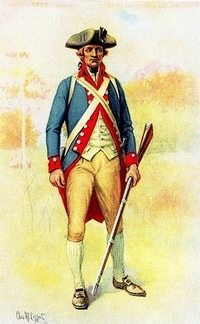 Pennsylvania acceded to the wishes of the Continental Congress and standardized the uniforms of their regiments. February: Loyalist military activity in the Carolinas was at a high pitch. The patriots finally responded in a skirmish that left 30 Loyalists dead and one American dead. March: Commodore Esek Hopkins led a small fleet of converted merchantmen in a daring raid on the British controlled islands of Bahamas. The attack was centered on present day Nassau—current capital of an independent nation. Instead of engaging the forts in a back and forth cannonade, Hopkins ordered a party of marines and sailors to land in a first time, unique amphibious assault. The weak forts then surrendered and gave up a large store of military supplies and cannon much needed by the Continental Army. On the home trip, they were engaged by the Crown’s ship of the line, Glasgow, and damaged it. Hopkins vessel, the Alfred, had an able aide at his side, Lieutenant John Paul Jones. By October it was Captain Jones of the Alfred. The Alfred under Hopkins and then Jones. Not every one was happy with the Hopkins voyage. Several southern, congressional representatives were disturbed by Hopkins failure to follow a part of his orders that required his fleet to encounter British ships in Chesapeake Bay. On August 12, they moved to censure Hopkins for dereliction. A censure resolution followed. There was a clear sentiment to support Hopkins, and he was later awarded further command. Lieutenant Jones had been vociferous in his support of his commander. June: A British Canadian force crossed the St. Lawrence River and attacked the American outpost, Fort Oswegatchie---current Ogdensburg, New York. The foreign force seized the fort and captured 400 patriots. 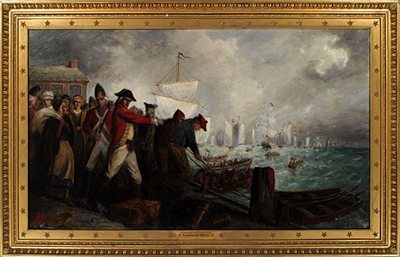 June 8: The British responded to patriot activity in the Carolina’s. A 55 ship fleet commanded by Admiral Peter Parker disembarked a large force at Charles Town (as it was known), South Carolina to support General Henry Clinton's campaign against stiff patriot resistance. Parker set about a bombardment of Fort Moultrie on Sullivan's Island where he was repulsed with severe damage. The Royal Governor, Campbell, aboard his ship was mortally wounded. Parker received wounds, and history records, lost his breeches as well. On June 28, the British were forced to abandon the attack. The result was a four year reprieve for Charleston thanks to the guns of Fort Moultrie and negligent British seamanship that left three of their vessels grounded on a hidden shoal. "The day was hot and humid, and we were served along the platform with grog in fire buckets, which we partook of very heartily; I never had a more agreeable draught----;to be upon a platform on the 28th day of June, amidst 20 or 30 heavy pieces of cannon, in one continual blaze and roar---;it was a very honorable situation, but a very unpleasant one". The Brooklyn Heights/Long Island battle is the history of the Washington army’s multiple escapes. In the absence of the Commander’s ability to evade defeat, this battle would have been the ultimate disaster, and a history of lost liberty and independence. The British campaign in and about Manhattan, lower New York State, and the rebounding Continental Army in neighboring New Jersey, highlighted 1776 in the Revolution’s timeline. June 10: After General William Howe unceremoniously departed from Boston earlier in the year, he removed his forces to Halifax, Canada. His sights were set on New York City. Admiral Peter Parker obliged with a large fleet that included 120 transports intended to effect a blockade of New York Harbor. Howe’s staff included Generals Charles Cornwallis and Henry Clinton The latter, Clinton, was often at odds on tactics with Howe, the Commander of British forces in North America. 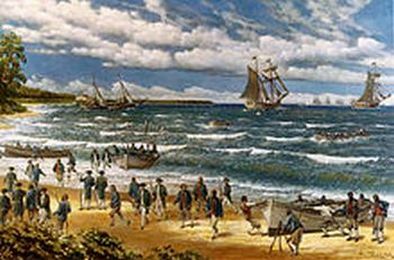 9,000 Hessians disembarked on Staten Island directly across New York Harbor from the area then known as Long Island (South Brooklyn). Just north lay Brooklyn Heights. 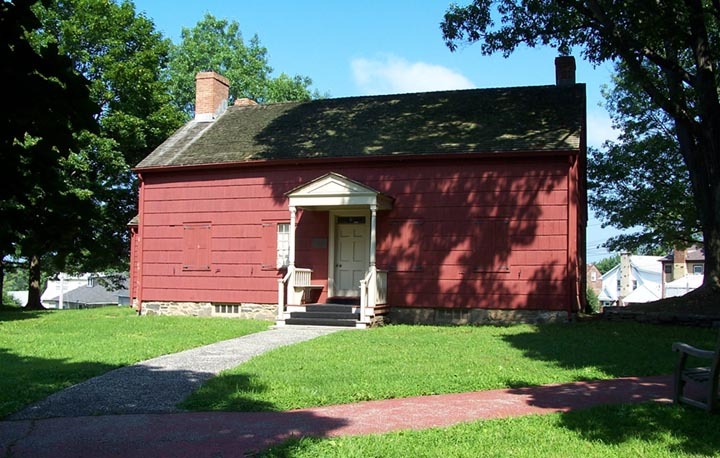 This small village, originally a Dutch settlement known as Brookland, a part of King's County, and a part of Long Island because of its physical connection.. Thus the looming battle is also referred to as the “Battle of Long Island”. It began as the British ferried their troops from Staten Island across the neck of New York Harbor onto Long Island (Southern Brooklyn). 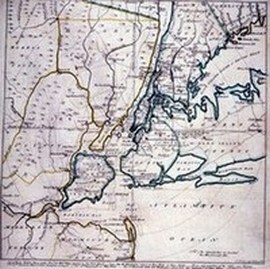 Old map anonymously drawn highlighting Staten Island, Manhattan and Long Island. “My father replied, ‘We belong to the other side, General, and can’t serve you against our duty.’ General Howe replied, ‘That is alright; stick to your country, or stick to your principles, but Howard, you are my prisoner and must guide my men over the hill.’ My father made some further objection, but was silenced by the general, who said, ‘You have no alternative. If you refuse I shall shoot you through the head. This foot path led to the envelopment of the Putnam army. The patriots fought back, but in this engagement suffered 1400 casualties to 380 for the British. Howe asserted heavy pressure on the Americans defensive lines. Washington’s entire army was at risk. The fate of the war hung in the balance. Washington concluded that a retreat and a secretive escape for the army were essential. His forces were close to the East River separating them from Manhattan Island. The river was patrolled by British war ships. Washington sought boats on his side of the river. What he also required was some naval skill to navigate the fast flowing current. He called upon a band of sailors from Marblehead, Massachusetts. September: The British reaction was predictable when they discovered the breakout.. Firstly, they shelled Kips Bay and then pressed their ground attack against patriot forces. 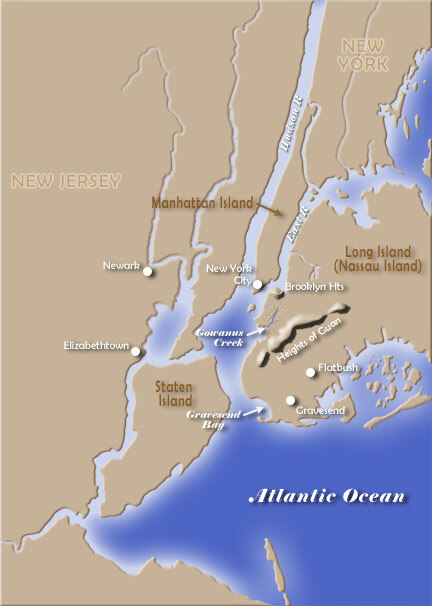 The British were camped at the southern end of Manhattan Island and pressed northward towards Kips Bay. They forced Putnam’s troops to flee north on the island to Harlem Heights —(currently north of Central Park starting about West 110th Street. Howe set his lines about 90th Street---20 blocks south of American lines.) The clash left about 128 American casualties and British about 164---although American dead, 28, exceeded the British deaths, 14. 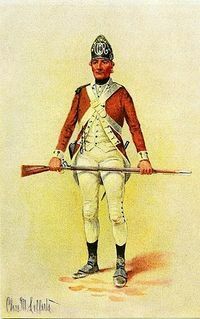 Subsequently, 200 American Rangers circled to the British rear providing an opportunity for another Washington escape to the Westchester County seat, White Plains, New York. The Commander in Chief left behind a small force to guard his retreat at Fort Washington— (Currently the location of the famous bridge of that name and on the eastern shore of the Hudson River.) Howe fortified his positions in lower Manhattan. The Americans held this fort tenuously on the northern end of Manhattan Island. .Washington entrusted that command to General Charles Lee and 7,000 Americans. October 28: After the British cornered the American forces in a northern corner of Manhattan Island, the main patriot force broke away and retreated further north. 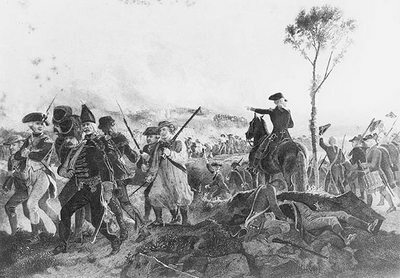 The British located the Washington army entrenched on White Plains’ Chatterton Hill. The area was sparsely populated and wooded. Washington’s headquarters was within a few miles of the raging battle. A large force of Hessians attacked the fortifications held under the command of Brigadier General Alexander McDougall. 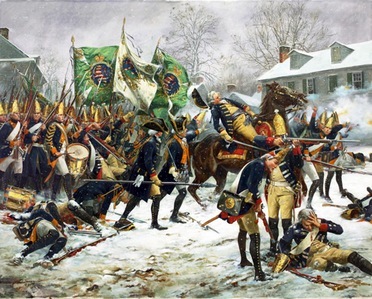 Bloody fighting included repelling bayonet charges and the British force was on the verge of dislodging the Americans.Washington's headquarters was alternately in two White Plains homes within hailing distance of the battlefield. 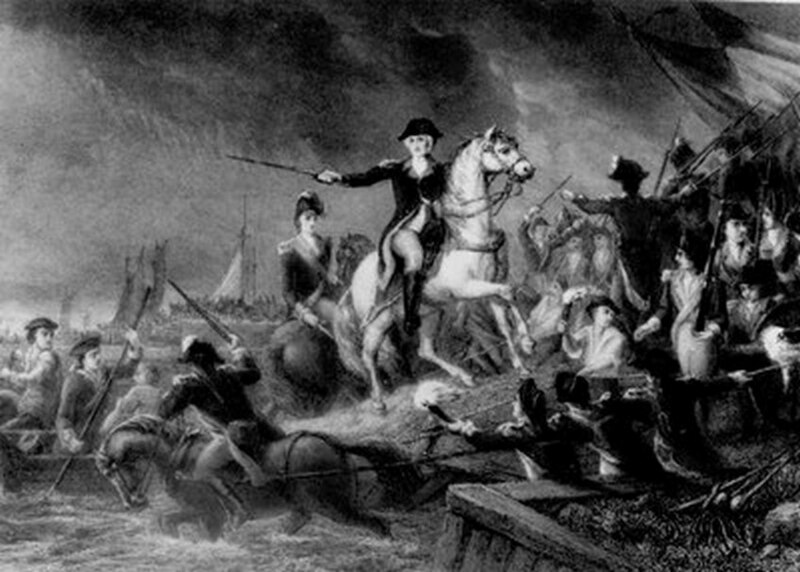 A heavy storm halted the attack and led to another magical escape for Washington’s army that retreated to the safety of Connecticut-- some 12 miles distant. November 16: General Howe turned his attention to the enemy in his back yard. General Washington had left his name sake, Fort Washington, under the command of Generals Israel Putnam and Nathanael Greene. 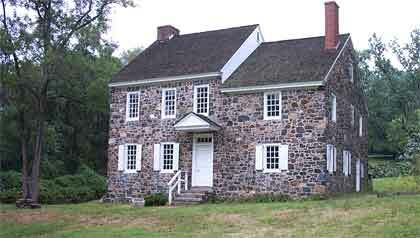 Prior to his northerly retreat to White Plains, Washington had established his headquarters near the fort. With Washington no longer in the fort, the British formally demanded its surrender. The American commanding officer, Colonel Magaw, refused. The Americans believed that the fort’s defenses were formidable and that assessment was confirmed after a personal survey of its security by Generals Henry Knox and Nathaniel Greene. They were favorably impressed with American readiness and the complement of 2900 men. This stamp of approval was instrumental in Washington’s decision not to abandon the facility. The results speak for themselves. The British attack began with a bombardment from the broad Hudson River lying below the fort. This was followed with an amphibious landing of 8,000 men and a Hessian cannonade on the ground. Return fire from the fort had some positive effect delaying the ground attack. When it came, the attack was three sided. 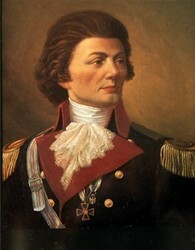 The Hessians were led by Lt. General Wilhelm Von Knyphausen. The German’s led a fierce bayonet attack and fought their way through the Americans positioned by the earthen ramparts. A discouraged General Washington viewed the battle from the opposite New Jersey shore. When the walls were breached, Magaw sued for surrender, Result: 2,800 American prisoners of war, 156 casualties, and British casualties, 782. The ultimate salt on the wound occurred when the fort was renamed for Knyphausen. The original and successful plan of the Hessian attack is noted below. “These are the times that try men’s souls”. It was reported that Washington penned a note for himself that he left in his tent prior to the crossing. It read, “Victory or Death”. There are two versions of the actual attack. After General Washington crossed the river it took hours to assemble the troops, and a four hour march in extreme cold brought them to the edge of the Hessian encampment. At this point, the historical record is further blurred. Even the weather report was in conflict. Was it raining or snowing? We can not resolve the historical record of the architecture of the crossing, but we can add more clarity by displaying the idyllic landing site on the New Jersey bank of the Delaware River. History has not settled on the details of the "crossing" but also on an acceptable version of the attack. One story is that most of the 1400 Hessians were sleeping off a well liquored Christmas party. A contrary view is supported by some evidence that there was forewarning of the approaching Americans, and there was some hasty resistance. The American plan was that 3 columns would approach Trenton; each from a different angle. Two of the columns failed to reach Trenton, but General Sullivan’s forces entered from the south and intercepted the retreating Kynphausen regiment named for the Hessian hero of the Fort Washington siege. The garrison commander of the three German regiments, Colonel Johann Rall, was killed in a counter attack. He organized a defensive position along with 105 of his soldiers. The position was overrun and the camp yielded 920 prisoners. Apparently, 500 Hessians escaped captivity. There is conflict on the casualty report. One record reports 8 Americans were killed. Another reports only 2 Americans wounded. All records indicate the strong possibility of an ineffectual response to the attack. Colonel Rall had led the Hessian bayonet charge on Fort Washington and had treated the captured Americans harshly. His death was welcomed by the patriots. One of the American’s wounded was a young lieutenant, a future president of the United States, James Monroe. Two versions of the victory: one a surprise route of a sleeping enemy camp, and the other, a limited battle. We do know that the prisoners were captured and were held captive in a secure Virginia facility. 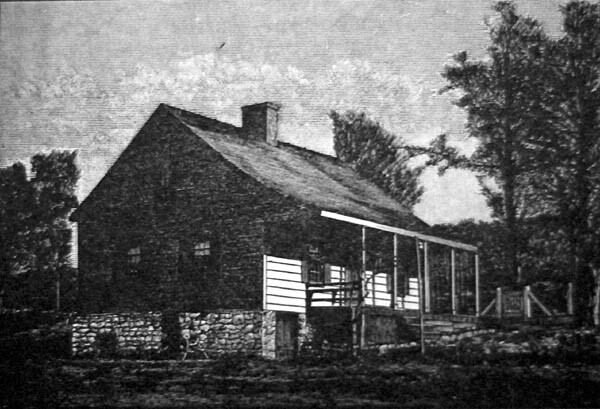 Hessian Headquarters prior to American attack. A diversionary feint at Bordentown, about 20 miles from Trenton, appears to have fallen victim to the weather. January: The taste of victory emboldened General Washington and was evident in the demeanor of his soldiers. Before the New Year, on December 30, he again crossed the Delaware River for a second thrust at New Jersey with about 2,000 men and occupied an area in Trenton. 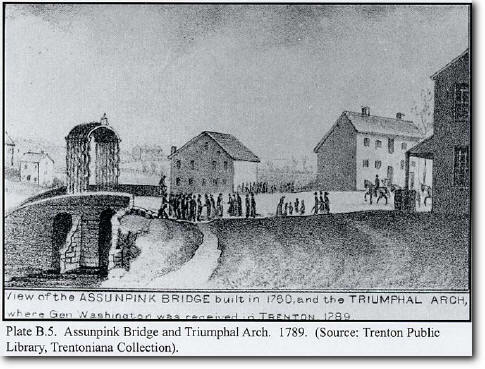 On January 2, 1777, his forces were attacked by General Cornwallis at Assunpink Creek, a community as close to Trenton as a creek would allow. 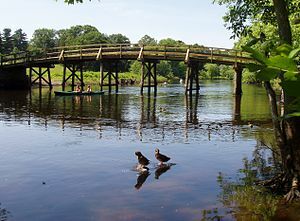 This body of water is a tributary of the Delaware River and splits the Trenton downtown area. The American lines held and was memorialized as the second Trenton victory with the erection of a triumphal arch that spanned the creek's bridge. 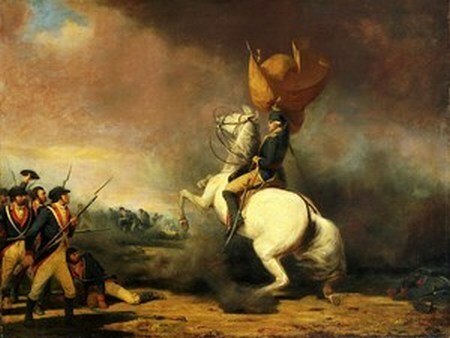 On the following day, Washington continued challenging the British by attacking its forces under the command of Colonel Mawhood at Princeton. Both forces had committed about 7500 men with deaths of about 50 for each side. 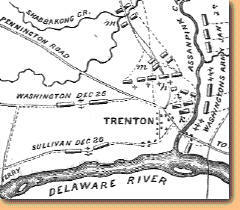 January 3, Washington ordered an attack on Princeton located about 13 miles from Trenton. American troops led by Brigadier General Hugh Mercer circled the Cornwallis army and led the attack with a smaller force against 3 regiments of British troops. His troops were quickly overrun and began a disorderly retreat. Washington sought to bring order to the battle field. He ordered a militia unit moved to the front led by Brigadier General John Cadwalader whose troops met the same fate as Mercer’s increasing the probability of a rout. Washington brought up regular Continental Army units to bring order to the field. Once again, and in the space of one week (Trenton), General Sullivan and his men distinguished themselves. The British units fell under the new pressure and hurriedly exited Princeton to the safety of the Cornwallis lines. 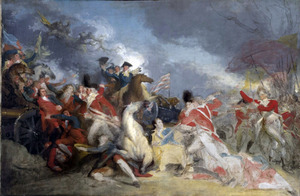 This attack coupled with the offensive attack on Trenton prompted the British to retire from battle during the 1777 winter season. There were victories, but comrades had died. General Mercer, a physician by profession, a rebel by choice, died of bayonet wounds at Princeton. The Americans made camp at Morristown, New Jersey until the coming of spring. March - June: The British were actively conducting raids during the spring months. Their focus was on breaking American resistance in their northern colonies. They conducted raids on military depots in Danbury, Connecticut and ranged into Peekskill, New York. 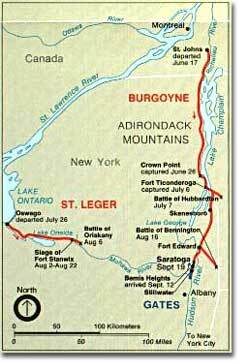 July 6: In early July, General Burgoyne recaptured Fort Ticonderoga (See Ticonderoga above). His army continued to seize and capture American forts in Central New York. His advances carried him to the door step of Albany, New York held by American forces under the northern command of General Schuyler. The Americans had been pursuing a scorched earth policy to eliminate local resources upon which British foraging was increasingly dependent as their route of march outstripped their supply lines . August: The siege of Fort Stanwix (located near Rome New York) began early in this hot summer month. The fort with a changed name, Fort Schuyler, was held by the patriots under the command of Colonel Peter Gansevoort. The British attackers were a mixed group of regulars, Hessians, Loyalists and Indian allies led by the Christian schooled, Mohawk Indian chief, Joseph Brant and Colonel Barry St. Leger. The fort was an impediment to St. Leger whose order was to advance on Albany to join the Burgoyne forces. These units, badly in need of supplies and reinforcement, anticipated joining with a purported Clinton led army proceeding north in the Hudson valley. Had the plan succeeded it would have severed the connection between the northern and southern states. The Americans held fast, and the enemy Indian contingents were losing enthusiasm for lengthy sieges. August 6: Militia General Nicholas Herkimer led 800 New York patriots to relieve the forces at Stanwix. 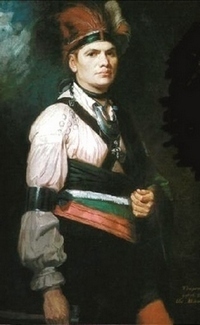 St. Leger ordered a force of Oneida Indians under Joseph Brant and Loyalists to intercept the Herkimer force at Oriskany. The British force ambushed the New Yorkers leaving 450 casualties, and among the dead, General Herkimer, who died in the hand to hand fighting. In a bad news, good news twist------the British forces had left their camp unprotected to participate in the ambush. A small force from Fort Stanwix sallied forth to sack the empty camp. They destroyed much of the Indians' personal property and influenced the Brant led fighters to abandon the siege of the fort. Major General Benedict Arnold's 700 Continental Army contingent were pressed into service after General Schuyler learned of the Oriskany massacre. Arnold executed a wily plan. He employed a captured Loyalist spy to play a double agent in exchange for his life. The spy posed as an escaped prisoner from Continental custody. His message to the British was that the Arnold army was moving with a huge force to lift the British siege on Fort Stanwix. That was the last straw for the large Indian force and influenced the Loyalist elements to abandon the siege. Arnold arrived on August 23. The plan had succeeded without the necessity for Arnold to join in the conflict. He would soon have another opportunity for the honor he craved at Saratoga. 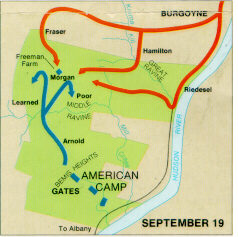 August 15: General Burgoyne dispatched 800 Hessian and 600 Loyalists to raid a military depot at Bennington on the New York/Vermont border. The rapid advance of the British in northern New York left Burgoyne’s forces desperate for supplies. It is apparent that American intelligence was keeping tabs on the Burgoyne advance. General John Stark readied 2,000 Massachusetts and New Hampshire militia men to meet the British threat at Bennington. A decisive victory belonged to the Americans. 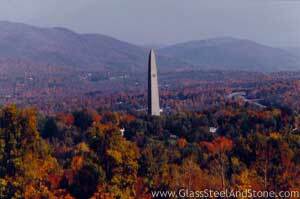 The battle was memorialized with the tallest structure in Vermont. The American general formulated and executed a plan that encircled the British (August 16). This double envelopment trapped the enemy facing attacks at their front and rear. The deployment routed the British. The British force sustained 205 casualties and lost 700 captured, The Hessian commander, Lieutenant Colonel Friedrich Baum, was killed in the battle. We have indicated that the Burgoyne forces in a string of former victories had outpaced its Canadian base for supplies. This fact and the failure to contact and join with the General Clinton forces in the Hudson Valley were destined to make the British former successes hollow. 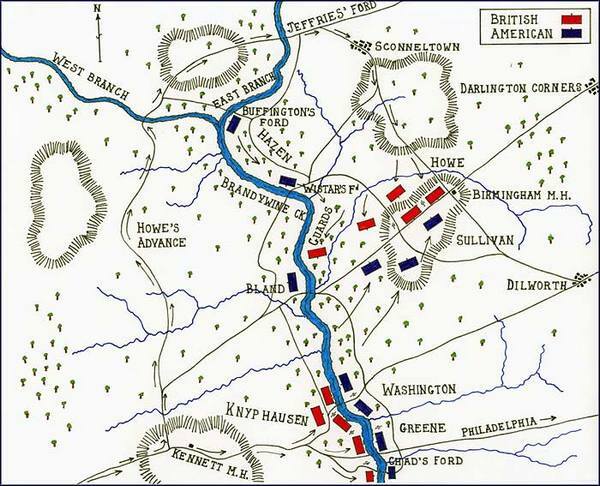 At this point, General Burgoyne was advised that the larger General Howe forces in the south were committed to a Pennsylvania offensive aimed at Philadelphia. His campaign was destined for failure---- short of supplies, short of men. 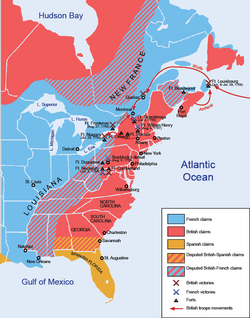 September: General Howe pursued a strategy to divide the Crown’s northern and southern colonies. Pennsylvania was chosen as the dividing line. The original plan was to join forces with Burgoyne as he drove his forces from Canada into the northern states. Howe concluded that the Philadelphia gateway should first be closed. Thus he transported a mix of 6,000 British and Hessian troops from New York City and disembarked in the Chesapeake region. His staff included the battle tested generals, Cornwallis and Knyphausen. General Washington recognized Howe’s intention and set picket lines to block the British advance. On September 3, General William Maxwell commanded one of the first Continental units to come under fire. Cornwallis drove the Americans from the field at the point of a bayonet charge. The details that follow illustrate a failed American strategy, and the inability to fathom enemy tactics. Washington arrayed his defensive positions at Brandywine Creek (September 11). He divided his 8,000 men. The line was anchored at the center by General Nathanael Greene at Chad’s ford. His left flank was covered by the reliable General Sullivan, and on the left, General Anthony Wayne with his Pennsylvanian regulars. On the opposite bank, Knyphausen's Hessians began a cannonade of the American center. This reinforced the idea of a potential frontal attack, and then Bridadier General George Weedon troops were shifted to support Sullivan's position. 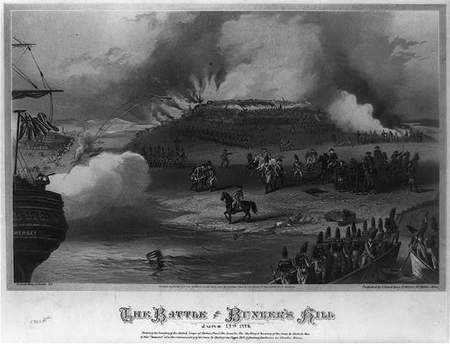 General Weedon accomplished the improbable by marching his men over 4 miles in 45 minutes. However, Cornwallis unexpectedly forded the creek up stream and struck at Wayne's flank. His ranks broke and a rout was in the making when the Hessians crossed the creek and linked with Cornwallis. Washington ordered a rapid retreat. The British sustained 550 casualties and the Americans about 1,000. Among the American wounded, Marquise de Lafayette. 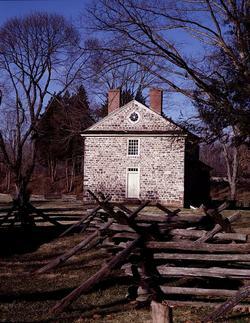 The headquarters of Washington still stands as well as the house occupied by Lafayette prior to the battle. The losses at Brandywine reflect poorly on Washington leadership and particularly his poor selection of terrain and failure to anticipate enemy tactics. The one constant at Brandywine was Howe’s customary indecision to take advantage of a defeated enemy and failure to pursue the American retreat after being dislodged from their defensive positions. September: Washington, post Brandywine, continued his retreat in the direction of Philadelphia. He left General Wayne to continue a rear guard holding action. Intelligence reports in the Howe headquarters pinpointed the location of the Wayne forces of about 1500 regulars and a militia force of about 1,000. Howe dispatched Major General Charles Grey to strike the American forces. The attack took place on the night of September 20. The British force surged into the surprised American camp with fixed bayonets. Casualties among Americans exceeded 200 killed and wounded and at least 55 prisoners were taken who reportedly were summarily executed. Hence the battle is known as the "Massacre of Paoli". Within days of Brandywine and Paoli, September 26, General Howe entered Philadelphia, heretofore the seat of the new American government. The Continental Congress, one step ahead of the British forces, removed to Lancaster and then York, Pennsylvania. The Howe expedition appeared successful, but it was an almost simultaneous back drop to Burgoyne’s final act further north. In less than one year, Howe resigned and his successor, General Clinton, was preparing to remove his troops from Philadelphia (June 18, 1778) -“the City of Brotherly Love”- to protect New York City from American attacks. We take the liberty to complete the American's disastrous Pennsylvania campaign with Germantown, although The Saratoga campaign, reviewd below, commenced one month earlier. 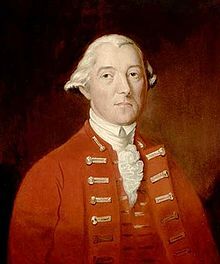 September 19: Major General John Burgoyne, “Gentleman Johnnie”, had brought his mixed regiments of Regulars, Loyalists, Canadians, Hessians and Indians from Canada into central New York; about 6,000 in total. His forces had long since snapped their Canadian supply lines. 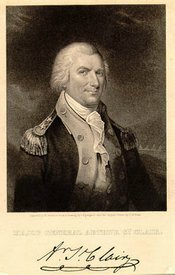 Infighting on Washington’s General Staff and self promotion had elevated Major General Horatio Gates to replace General Schuyler as Commander of the American Army of the Northern Department. He was a cautious soldier, and in sharp contrast to General Benedict Arnold’s aggressive nature. The armies clashed about 10 miles from Saratoga, New York, at Freeman’s Farm. Morgan’s Virginia riflemen began the day with their sharp shooters effectively picking off British officers. Burgoyne attempted to encircle the larger American force. Arnold rushed in his forces, attacked and blocked the British vanguard. 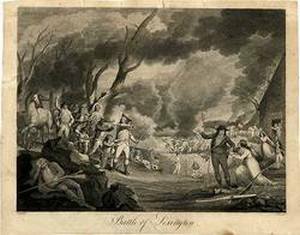 However, the day belonged to Burgoyne after a 3 hour battle. He secured the environs of the farm, but his casualties were so high that the victory was questionable. 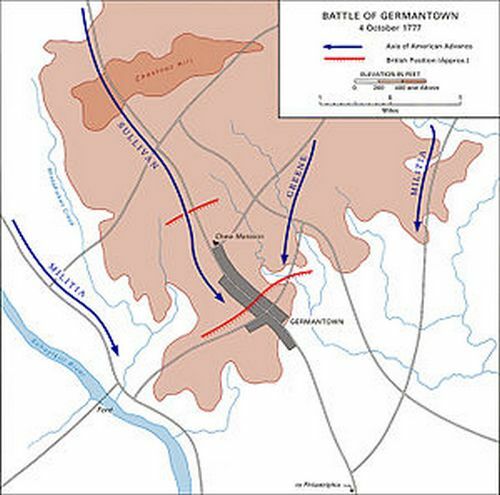 With greater resources and man power, Burgoyne might have immediately followed the day with an attack on Bemis Heights held by the Americans. However, wishful thinking was not rewarded. The anticipated reinforcements from General Clinton never arrived. A non- wounded American casualty was Benedict Arnold during the American assault on the heavily fortified lines. Gates rescinded his command and ordered him to stay off the battle field. We are not sure about the source of disagreement. It may have resulted from Gates refusal to bring up reinforcements requested by Arnold to press an advantage that might have overwhelmed the British center. One might surmise that Arnold may have been unhappy about the replacement of his friend, General Schuyler--a plan engineered by Gates. In any event, we can surmise this was another blow to the Arnold ego. Psychologists might point to these personal affronts, many of which were undeserved, to Arnold's ultimate betrayal of his country in favor of the British. October 7 The Bemis Heights entrenchments were designed by the Polish born engineer, Thaddeus Kosciuszko. The defensive works commanded the Albany road. General Burgoyne had delayed his attack awaiting reinforcement. He could not delay any longer. The much larger American forces had, with an embarrassment of riches, added to their ranks when their reinforcements arrived. The British attack commenced in the early afternoon. Despite British pressure the Americans were buoyed by the appearance of Arnold. Gates took notice and tried to remove him from the battlefield. Arnold disregarded Gates and led an attack through a gap in the enemy lines. He was again supported by Morgan’s Riflemen and their deadly shooting power. Subsequently, at Burgoyne's surrender, he addressed Daniel Morgan. "You command the finest regiment in the world". 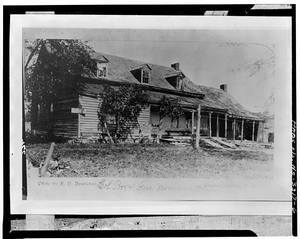 Burgoyne was forced to withdraw to positions that he held prior to his Freeman farm victory. He had lost over 1,000 men with casualties at least twice that sustained by the Americans. Arnold was hit in the leg which was compounded by his horse falling on him after being hit by a musket ball. Burgoyne had not shied from battle. He also lost his horse and escaped some near misses. By mid October, Burgoyne’s forces were entirely enveloped by the patriots. His ability to engage in battle was severely diminished. By October 16 he surrendered. Gates, who had essentially been an observer and not an active participant, was declared the hero of Saratoga. Benedict Arnold’s could not have been pleased with the public acclamation for Gates. However, the Gates reputation was severely tarnished in 1780. Too late for Arnold's redemption. In the more southerly arena,subsequent to General Howe’s occupation of Philadelphia, Washington attempted to relieve pressure on his forces camped north of Philadelphia. He garrisoned two forts south of the city on opposite banks of the Delaware River. 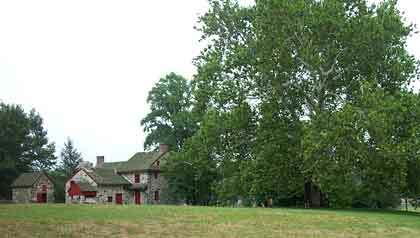 Fort Mercer was located on the New Jersey side at Red Bank and opposite Fort Mifflin on the Pennsylvania shore. Howe mounted an attack on Mercer whose namesake, General Hugh Mercer, had died earlier in the year at Princeton. Hessian troops led the attack on October 22 and were repulsed with heavy losses. The Hessian commander died in the attack. General Washington ordered the abandonment of the fort in the following month. The pressure on Washington was relieved by the advent of winter. In 1777, the American forces had fared well in New York State. However, their success was not repeated by their brothers in arms in Pennsylvania. The winter fighting season brought a hiatus to fighting, and the Continental Army in Pennsylvania sought refuge in Valley Forge, about 20 miles north of occupied Philadelphia. In the largest American city, the British were snug in patriot homes, while the Americans suffered from cold, food shortages and disease a half days march away. The suffering endured by 10,000 Americans during the 1777-1778 winter in Valley Forge ended with the deaths of approximately 2,500 soldiers and uncounted desertions. For the survivors, that winter ranked high on the list of the war's critical battles. However, the Commander in Chief, enjoyed the privilege of rank at Valley Forge which did not diminish his empathy for his men which was much appreciated.